Enjoy this unique four pack of Jelly, Preserves and Apple Butter. 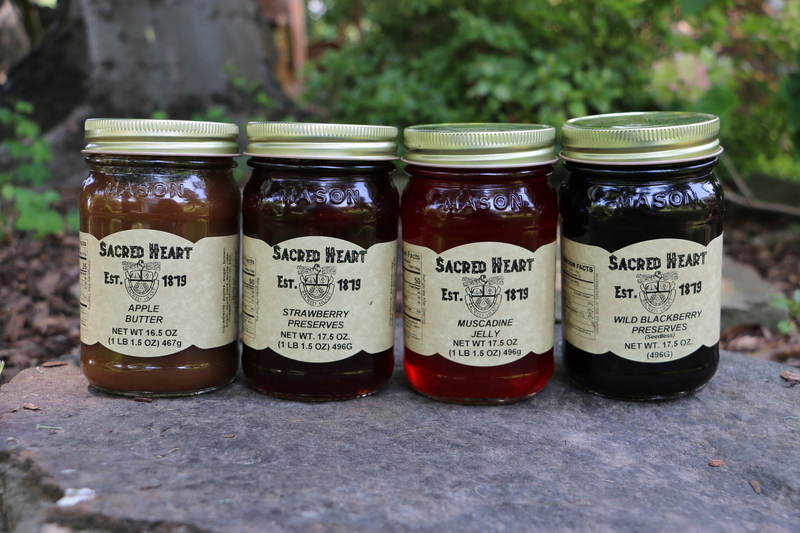 Flavors include Muscadine Jelly, Wild Blackberry Preserves, Strawberry Preserves and Apple Butter. It makes a great gift for anyone on your list or to enjoy by yourself. Packed in unique, old fashioned mason jars.